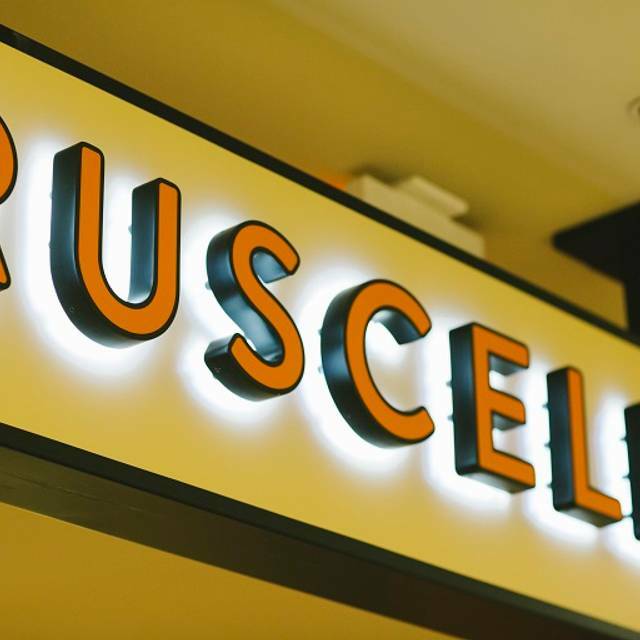 Ruscello is a full-service restaurant featuring Mediterranean and Italian-inspired cuisine. The menu is bold in flavor, focusing on great appetizers, salads, sandwiches, brick-oven pizzas, pastas, entrées and housemade desserts. Guests can choose to sit in the dining room or enjoy a drink and food offering in the bar area. Nordstrom is located on the Northeast corner of Oak Brook Mall. You will find Ruscello on the first floor just inside the East entrance. 2,000 calories a day is used for general nutrition advice, but calorie needs vary. Additional nutrition information available upon request. *item is served or may be requested undercooked. Consuming raw or undercooked meats, poultry, eggs, shellfish or seafood can increase your risk of foodborne illness. There was an event in the bar area which made it a little noisy. My daughter and I enjoy going for lunch and shopping all the time. The food is always great and the services is good. I at least eat here every other month. Its a fun way to spend your day at lunch and shopping. Defiantly a must!! In short, very good food, priced commensurately, in a rather noisy atmosphere, even though it was 3:00 on a Saturday afternoon. Service was professional and prompt - the food came out faster than expected. There were 5 of us, two vegetarians. Two carnivores had the salmon which both liked very much. The vegetarians loved the roasted vegetable salad. The lobster risotto also got a very good report. The pizza marguerita was good, not special. And when we finished with time left before our show, we were already in Nordstrom's for some shopping! All in all, if you're ok with the noise level it's worth a try. Great services and awesome food. Jody was our server and she was terrific. 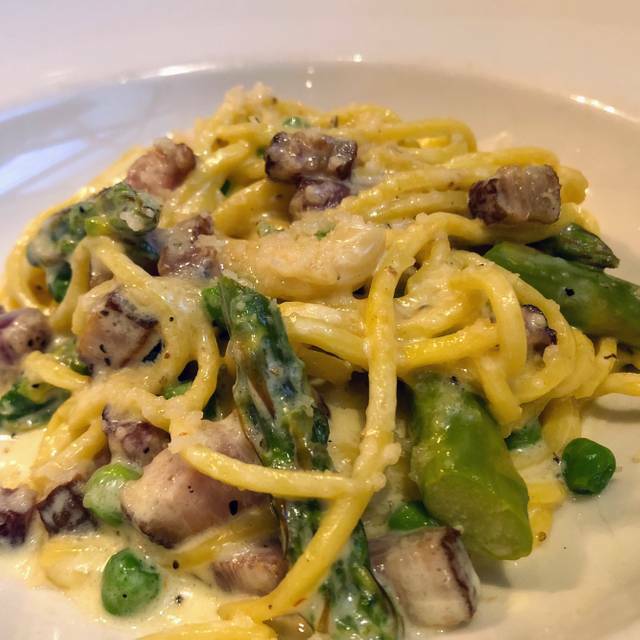 Above average food, a bit noisy and slightly slow service during the lunch hour on Friday, but wait staff was courteous and atmosphere is nice. The food at Ruscello is always delicious. Brought five friends here for dinner and everyone enjoyed their meal. I was a little disappointed with the service this time. The server could have been more attentive to our requests. Off day for Ruscello... slow service, food brought out in an odd order, service inattentive. Example: Basket of fries for lunch came out luke warm and before anything else was served. No silverware or napkins brought until main course was served. Server only checked on us well after meal was served and seemed really drained. Always my “go to” when shopping at Oakbrook Mall. Very nice menu. Never was there for dinner only lunch. We all had different salads and they were excellent. Service was good too. Always delicious there! Food is great but a little overpriced! Great service. Attentive and friendly server. And the salmon entree was excellent! Food is always good. The service was awesome. We had a few first timers with us and they liked the place. Lobster risotto was VERY good, served hot and taste and textures where perfect. Colleague's sandwich was great, fries where crisp shoestrings. Service was good. Will be going back to try more entrees. Fall special menu looked great. Great service, delicious food - as always! Jose took excellent care of us. His wine recommendation was perfect. And he graciously handled my special requests. We had a delightful dinner! Jose kept an eye on us, but left us alone with our deep conversation. After nine successful hours of shopping, we enjoyed a delightfully delicious diner! great place to take a break and grab lunch or dinner while shopping. Quiet, clean and consistently good food. 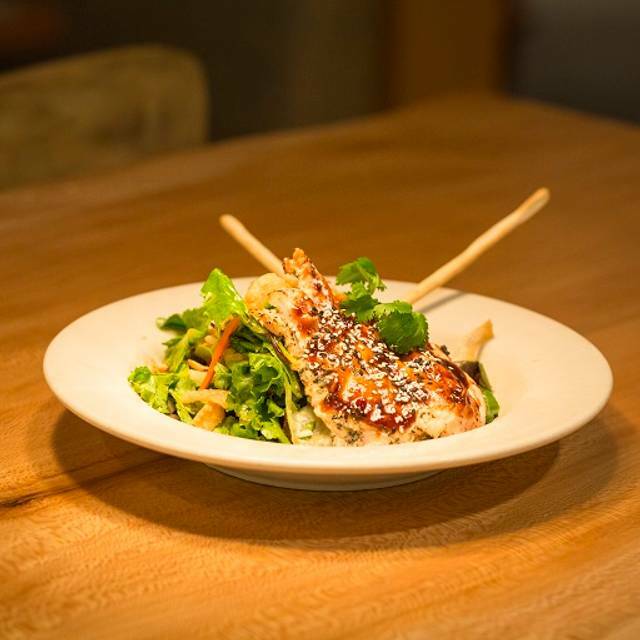 Fine dining quality food at fast casual price. Great for any occasion. Tuscan chicken has evolved from a 1/4 chicken to two skinny, thin dried out, non-seasoned chicken breasts and the roasted vegetables have lost that olive oil bath in exchange for a harsh vinegary taste. The pasta was so spicy it was difficult to eat. Service was awful but the server got better as the night went on. It took forever to order, asked for bread with olive oil - got two small crusty rolls with only butter -- asked for iced tea with splenda - had to wait for the splenda. The pasta was delivered before the chicken and went cold on the table waiting for the second entree. Waited and waited and waited for a dessert menu, then waited and waited for dessert to be delivered. The food was fine but our waiter was strange. Don’t particularly enjoy being called “dude”! While my waitress was simply lovely, a bit disappointed when my panko chicken salad arrived. My salad was missing the corn and avocado. Because of that, I had to call on the waiter (brought my food out to me) a few times. Service Excellence is when you get the order right the first time. To call on the waiter two times was quite disappointing as I come here quite often. I'm a big fan of Ruscello's but Friday night was a nightmare. 3 of us had dinner, one ordered the shrimp salad -- a quarter of the way through the salad a bite of shrimp caused an OUCH -- part of the skewer was still inside the shrimp -- following that bite, another piece of skewer was on the fork and in the mouth. I come here often. It's so convenient being in Nordstrom while offering a good selection. Service is normally great, food is tasty. My only complaint, I was asked if I wanted to add avocado to my salad for a dollar. When it came out I had about a quarter of an avocado on my salad and my bill reflected the price of $1.50. Always visit for lunch and am never disappointed. The food is excellent. There are always specials which come and go but also an excellent mainstay menu. The restaurant is busy on weekends but worth any wait. I have never been disappointed! This restaurant is usually good but on this day we had extremely poor service. Not attentive at all, my order was very wrong. I asked for no cheese because I have a dairy allergy and there was cheese all over it. Then I waited a half an hour for food while my party ate. Great service! Excellent food. Very fresh with a nice presentation. Casual atmosphere. Great food and great service. Love the place. Go often. I love Ruscello! It doesn't matter how many times I've been there the food is ALWAYS great and consistent. 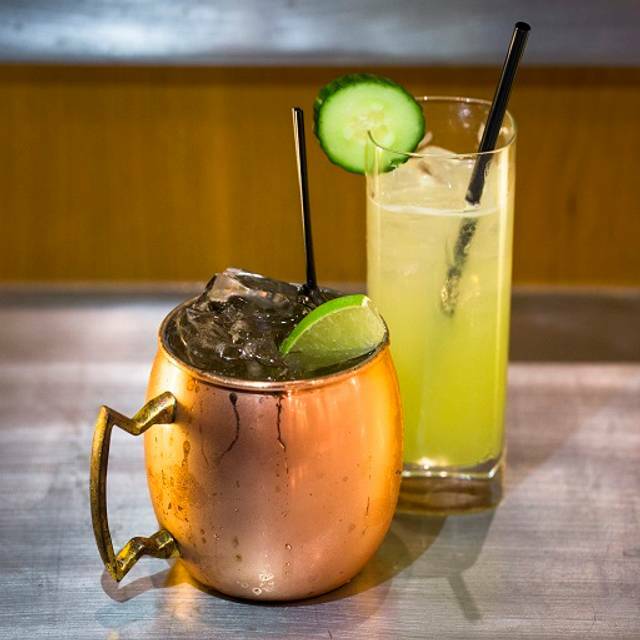 Having been to every restaurant in Oakbrook and the outlying area it is the one of the very best. You can always count on it for an excellent and enjoyable meal. Service is always attentive and friendly. David our waiter was so helpful and always around. Nice menu. Like that you can make a reservation and are not rushed. The signature tomato basil soup was served barely warm - a real disappointment. My turkey club sandwich was excellent. Inadequate restroom facilities on the first floor (by the restaurant). Always amazing service and food. One of our favorite places for lunch. They walked us right through the front well lit area, and sat us in the back, facing a drink station and spare highchairs, low lighting. I asked to move and she said she has to be " fair" to the servers. Food was just average this time, which was a surprise. 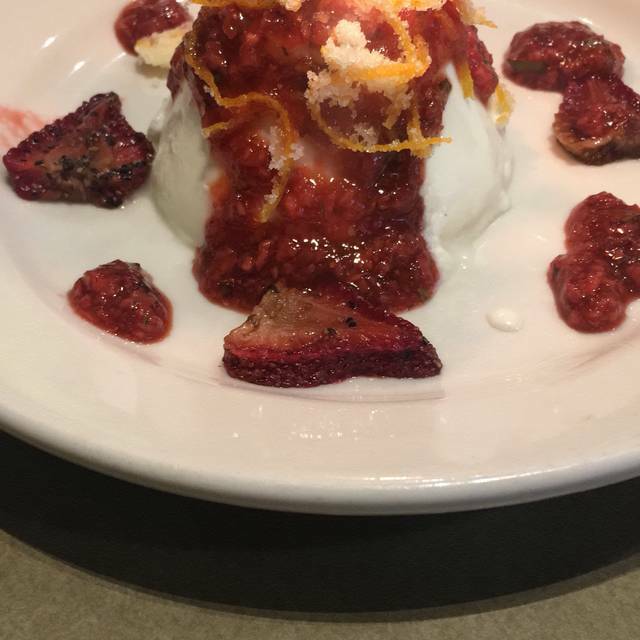 Desserts continue to disappoint. Our server was wonderful. Helpful, attentive and have a plenty of time without rushing us. The food was very fresh, healthy and flavorful. Will definitely return!